In a month that has seen the launch of the Rastamouse children's television show and the airing of the 'Reggae Britannia' documentary on the BBC in the U.K., comes news that will warm the heart of those among us who love reggae and comic books. 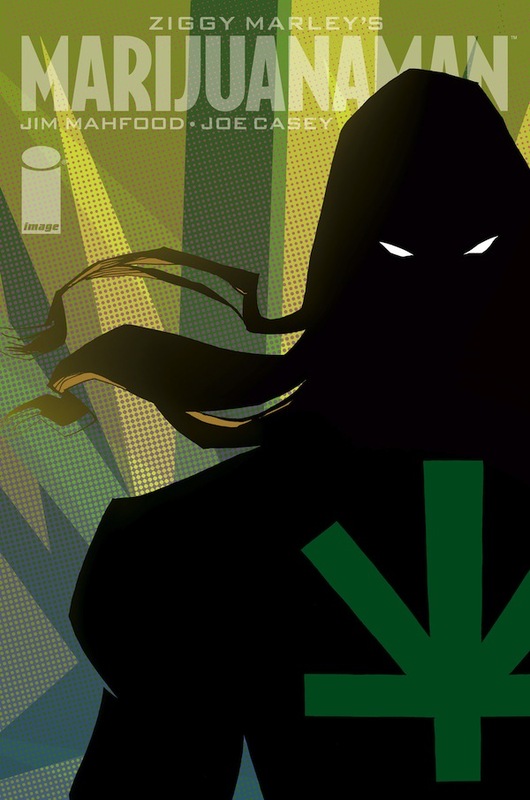 Ziggy Marley, the Grammy-winning reggae star and son of the legendary Bob Marley, will be releasing a 48-page graphic novel, Marijuanaman - 'a hero for a new generation' - through Image Comics. The novel will be available in the U.S. on April 20th (AKA: 4/20). Still don't believe this project is for real? 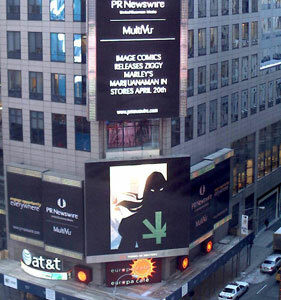 A giant ad for Marijuanaman was flashed on one the giant video screens here in New York City in Times Square earlier this week to promote the project. Marley's newest and fifth solo album, 'Wild and Free', will be released along with Marijuanaman this spring.